Recently, polyphenols have been found to affect blood lipids in animals in a similar manner as soluble dietary fibre. 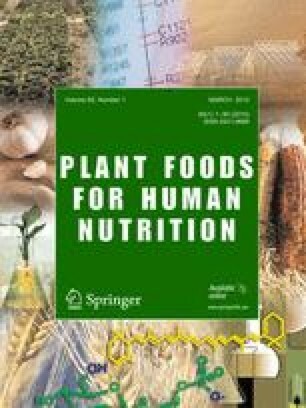 The aim was to assess whether an insoluble dietary fiber very rich in polyphenols has a beneficial effect on serum lipids in humans. In a double-blind randomized placebo-controlled clinical study with parallel arms, 88 volunteers with hypercholesterolemia were randomly assigned to consume daily either, fiber with insoluble 84% polyphenols 4 g twice a day (n = 43) or placebo (n = 45). Serum total, LDL and HDL cholesterol and triglycerides were assessed at baseline and after 4 weeks. The insoluble polyphenols consumption reduced the total cholesterol by 17.8 ± 6.1% (p < 0.05), LDL cholesterol by 22.5 ± 8.9% (p < 0.001), LDL: HDL cholesterol ratio by 26.2 ± 14.3% (p < 0.001) and triglycerides by 16.3 ± 23.4% (p < 0.05) at the end of the study compared with baseline. No significant differences were found during the study time in the placebo group for the lipid profile. The consumption of fiber very rich in insoluble polyphenols shows beneficial effects on human blood lipid profile and may be effective in prevention and treatment of hyperlipemia. The authors would like to thank the volunteers who had participated in the present clinical trial.